In rebel galaxy secrets and tips, you can get a legit guide to find answers to the most popular questions – where to quickly make virtual money, find loot, which ship is better? as well as many more. The rebel galaxy game came out quite a long time ago, and so the game has a lot of fans and just lovers of space simulators. Most of them cannot understand how to play the rebel galaxy correctly in a space simulator. 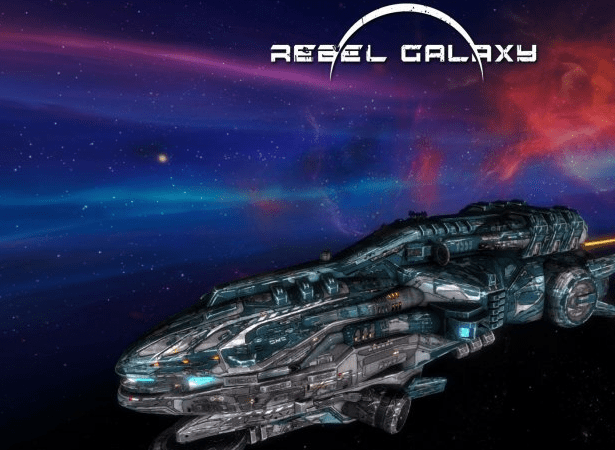 Now you will discover rebel galaxy guide and tips related to the passage of the game. Here you can explore information about how to conduct a trade? where to find resources? how to fight properly? and so on. At the very beginning, the game will offer you to choose one of two ships Tractor Beam or Mk 1 Deflector Shield. There is almost no difference between them, so your choice will not affect the game, they both cost 4,500 in-game currency. Bartenders: They can tell you a lot of useful information because for a small fee. They will tell you where the useful resources are located, and also give you important trading tips. And so do not be afraid to spend money because they will quickly pay off in rebel galaxy guide & wiki. The game is automatically saved every time you visit a space station, but you can also save it wherever you want. Pulse scan (you can call through the radial menu), it is useful not only when detecting enemies. If you start scanning near the mission, it will show critical important tasks. The scan will detect the presence of stray follower pirates nearby, who may follow the ship after the mission is completed. The use of a pulse scanner can reveal drifting cargo containers, wrecked ships, other valuables floating in space, as well as unidentified signals. In the latter case, they need to be investigated – the transponders can be hacked using a small mini-game, and as a reward, you will receive information or coordinates of asteroid fields rich in resources. But remember that the signal can be a trap — pirates quite often use such signals to lure space explorers to themselves. Also, such a signal is used by traders if they were attacked by pirates. If you buy a new ship, then, in this case, everything that is stored in the hold of the old ship is transferred to a new one. Installed modules on the old ship are sold at the cost of their purchase, so you do not lose anything so that you can safely experiment with the modules. If you are stuck in a crack or rift, or maybe in a large and intertwined heap of space junk, then try to save and go to the menu. After this, load the save, the game will have to identify your difficult situation and teleport you a little further to where there will be no obstacles. In rebel galaxy guide, you can get the best solutions. If you cannot complete a mission accompanied by anything, because the slave spacecraft got lost in the asteroid belt or cannot get around another obstacle, simply destroy the asteroids close to the ship, and wait 10-15 minutes until the pathfinding system . Nothing happens? Then give up the job. Another problem of the gameplay associated with such missions is that the planet was in the path of the driven ship and it came out of the warp and “got up”. Well, in fact, he did not get stuck, just a system for determining the path again long calculates the route. You can think of it as a feature, not a bug, but then you have to wait 10-15 minutes until it determines another route. If the destination is located directly behind the planet, then it is better to reset the task, since the route calculation can take a lot of time. By rebel galaxy guide, you can get information about how to trade easily. At the start of a new game, systems and sectors are randomly generated, and therefore there are no specific trading methods in the game. But instead, you can learn the principles that allow you to make good money on the goods sold. In your first ship there are only ten places for containers, but if you know how trade works, then this place will be enough for you to make a good profit. Moreover, at the beginning of the game, you can earn more money than on a combat mission. To display information about the goods sold on your sector map, you just need to visit the station. But we must remember that information may become outdated, and the goods that are sold may change if you have not been at the station for a long time. Actual prices for current products are displayed in the game menu, in the “Commodities Market” section, on the left side of the screen. All trade consists of a simple principle – buy goods highlighted in red (even better if there is an exclamation mark next to the name), and sell at other stations that buy at the green price. If you do not have a shortage of rare goods, you can sell them if they are highlighted in white or red, but preferably always green. The best option will be to find three or four stations that are close to each other, and you can sell cheap and necessary items that you can buy at neighboring stations. Even one such trading route can bring you a good profit. As soon as you accumulate a large amount, at that moment you can trade inexpensive items. For example, diamonds or clear water, which can bring 10,000 credits of net profit for each unit sold. Consider the fact that prices can change very quickly, and found trade routes may simply not be profitable if you wake up for a very long time and sell a lot of the same goods. Check out the random tech booms random events that appear randomly on the map. Such events significantly reduce the price of such expensive items as “Data Cubes” and robots and other rare goods. Discount can go up to 90%. Smuggling can be sold at criminal stations or at pirate outposts, which will not let you close if you have killed the pirates for a short time. If you bring illegal goods near police patrols, they will be able to scan your ship and detect smuggling, in which case you will have to give up the goods and pay a fine or pay a bribe. If you run away or destroy the police, it will become hostile to you in the whole sector. Smuggled goods are marked in red (instead of blue) when they are floating in outer space. If you like to trade, then you can join the trade guild. To get into it you will need to pay 10,000 credits for joining. After you join the guild, its outposts will appear, and you can complete unique trade missions (some of them need a large cargo hold) to improve your guild rating you need to make a lot of money. Even if you do not earn a lot on commerce or it interests you a little, you can still join the Trade Guild, as this will give you access to a number of unique spaceships and types of equipment to buy. Sometimes this problem takes a lot of your time, but with rebel galaxy guide, if in the mission zone and you do not see anything that can shoot at you or interact with your ship, then you need to use a pulse scanner to find a target that will be marked with a red triangle. This is more fun than a serious occupation in rebel galaxy guide, although it can bring you decent money at the initial stage of the game because such an activity does not require you to be expensive. To do this, you just need to buy a mining laser (Mining Laser) and install it on the ship. Such lasers can also be used in combat, but they are short-range, but you will not spend a slot on equipping the combat slots of the ship with them. After you hit the mole of asteroids you need to use a pulse scan. It marks those asteroids from which resources can be obtained. You do not need to break all the asteroids in a row, break only the needed ones, after which you can pick up the reward (you will need a separate device – the Tractor Beam, you can take it at the beginning, but you can buy it). Most likely, you will get a lot of cheap metal ores, but there is always a chance for something rare to fall out, like gold or diamonds. To facilitate the resource extraction process, you can purchase the Fault Tracker component (it is not sold everywhere), which will analyze asteroids and identify their weak points. By destroying an asteroid in such a place, you will get more resources than in the case of blindly swotting. Mining is a great way to make a lot of money at the beginning of the game. Hand small independent studio Double Damage comes without just noise to our PCs Rebel Galaxy. A space adventure in which we will be that we will have all the freedom in the world to be fair traders. Extract the resources we need for our tasks or be the most feared bandits in the entire galaxy controlling our great combat ship. With these very interesting premises of sandbox, action and a touch of science fiction has come into our hands this new independent game “rebel galaxy”. Prepare your ships because we started. For ships preparation, must read our rebel galaxy guide for ships. Once we enter Rebel Galaxy, one of the most attractive things is the map: an entire galaxy to explore with multiple missions to complete. Asteroid fields from which to extract resources and space stations of different factions in which to do a stop, either to deal with important issues with different characters, improve our ship, attack them or just have a drink at the bar. This is the first point of analysis in rebel galaxy guide. However, despite the fact that we are [everyone] in is three-dimensional, we can only move in two dimensions, that is, by a single plane, we cannot move our ship up and down. But, although this at first is somewhat frustrating (especially considering that most current games of this type do allow it). When it comes time to fight against enemy ships you realize that it is not a fault at all, but great success at the design level. Rebel Galaxy gives us a lot of freedom when choosing the way in which we want to perform different tasks that are proposed both in history to complete missions and outside of it to get the necessary money. Thus be able to buy the improvements that allow us to overcome certain phases. While it is true that it is possible to complete the game by rejecting violence in all cases and being an exemplary inhabitant of the galaxy that does not get into trouble. It should be noted that combat is usually the most fun option and that it is one of the most worked aspects of the game in rebel galaxy guide and secrets. It is difficult to compare the great confrontations we have against entire armies of enemy ships with collecting some minerals by shooting rocks that float in an asteroid field. On the other hand, if the grinding is not satisfactory, what is the story itself, if it does, with an interesting plot that puts us in search of a family member who keeps many secrets; and a good variety of missions that are not at all easy in some cases. At this point, it should be noted that there is a failure (or so it seems) with the difficulty of trade missions. One of the most striking sections in rebel galaxy guide is visual, since, from minute one, we are bombarded with various visual effects caused by planets, stars, dust clouds, and asteroid fields. Although it is true that if you are lovers of physics will make you smoke out of your head for the impossible of these, are quite results in ones and beautiful, consuming few resources of the PC and making almost anyone can play it. 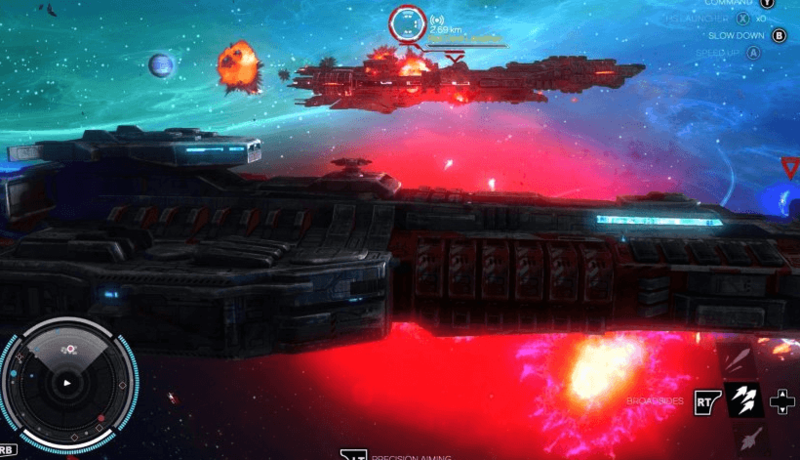 The rebel galaxy guide and review: technical sector shines like the celestial bodies that populate this immense game, resulting in a spectacle for the eyes in terms of ultra configuration. Everything boasts an extremely detailed polygonal modeling, accompanied by very well-defined textures. The optimization is there and it shows, the game does not suffer the slightest slowdown even during the most agitated situations, accompanied by numerous enemies and spectacular explosions. As for the musical discourse, using a rock soundtrack may seem a strange choice, yet it works. The music makes you feel like a space truck driver more than the captain of a spaceship, but it is this goliardic style that makes the game more fun in terms of style. Also noteworthy is the possibility of inserting customized tracks at the start of the game, setting ourselves the tracklist we want for travel and fighting. The atmosphere of the game is very similar to that of the Firefly television series, so much so that this could be considered a game taken from the series itself if it had the sticker on the cover. The game world is generated in a procedural way and this makes exploration very interesting and full of unexpected surprises, such as asteroid belts and planets (which we better not get too close to not be attracted by their atmosphere). The writings and dialogues of the game are all in English, which could be an obstacle for some players but this does not affect the quality of the product, only its enjoyment. The deep space will keep us glued to the screen as much as we want as the side quests are really unlimited. The main storyline instead will engage us for tens of hours as it will be inevitable to take on most of the secondary ones to have an aircraft worthy of traveling around the galaxy. 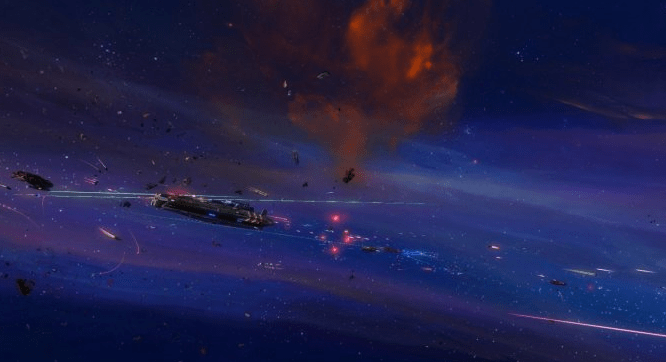 How to leave the star system in rebel galaxy? To do this, you will need to buy Jump Drive for 75,000 credits. Remember that other star systems are much more dangerous than the initial system. So if you want to explore them you will need to buy a more powerful ship, and install Mk2 level improvements on it. With such modules, you can easily deal with enemies. If you don’t have enough money for all purchases, then by purchasing Jump Drive you can start buying and selling items between stations located in different systems. So you can save money. Which is the best ship in the Rebel Galaxy? In the game there is no ship that can fit all tasks, each has its own pros and cons. Some ships are suitable for battle, while others are suitable for trade, and still, others are well suited for resource extraction. Therefore, the choice of space transport depends on your style of play. Remember that after buying a new ship, no modules and improvements will be installed on it, so you will need to spend a large amount on improving the ship, so stock up with a lot of game credits. Moreover, when traveling in space, always keep a large sum with you to buy good equipment for the ship. To avoid problems and have an “airbag”, try to improve your current ship to the maximum, save money with a margin for the next one and only then buy a new one. Then the invested funds will return to you and there will definitely be enough money, even if the improvements for the new ship cost more than for the old one. How to throw the cargo from the ship? If you can’t sell a product, or you don’t have enough space in the ship’s hold, then in flight mode, press the ESC key and then you will be taken to the game menu, then carefully look at the top of the screen, there are buttons – that move the menu bar. Since in the game menu it is at the same time the control of the ship. There, find the “Cargo Hold” menu item, then select an item you don’t need, for example, contraband and throw out as many items as you need using the menu buttons. 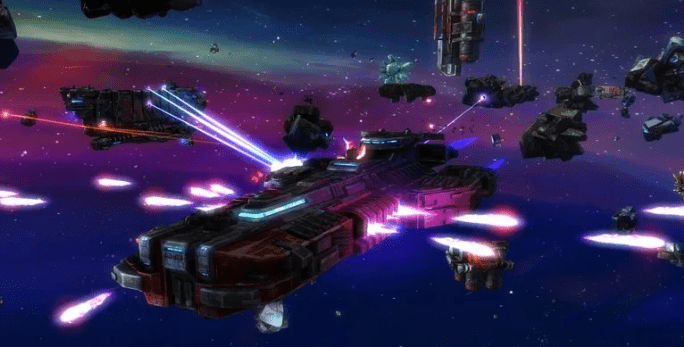 How to fight in rebel galaxy game? The biggest drawback to the combat system of the game is the attachment of the game ship to the 2D plane, while your enemies can fly in any plane. In this case in rebel galaxy guide, your attacks will be very similar to the salvos of a naval ship, as, for example, it was in the Corsairs. But you can put lasers and turrets on your ship that can shoot in any plane. If you have less than a quarter of health left and there are a lot of enemies around, especially those that you can’t even scratch the skin, you should be saved. When loading, the game will assess the situation and, if the condition about “less than a quarter of health” is met, it teleports you to a safer place nearby. Game features allow you to place weapons as you like. Pay attention to how your turrets stand, it’s rather unreasonable to put them on the rear of the ship, it’s best to place them on the sides. Know that different ships have different weapon installation locations, so consider this when buying a new ship, and check where you can install turrets and so on 0. You can give various turrets and rocket systems automated instructions via the game menu (ESC button and further left or right ). It is useful that your turrets deal only with light fighters and not attack large warships. If you want to buy a new ship, then pay your attention to the requirements for the specialization of the character (if any), as well as the range and firepower it has – perhaps the purchase of a more expensive model will not be rational. For good fighting, you must read our rebel galaxy guide and tricks. How to mine in rebel galaxy? How to play rebel galaxy? How to make money in rebel galaxy[making credits fast]? How to use tractor beam rebel galaxy? How to get to Charon rebel galaxy? No, the rebel galaxy is not a multiplayer game. It is only a single player game. Yes, it is an online game, but you also can play it on offline mode. 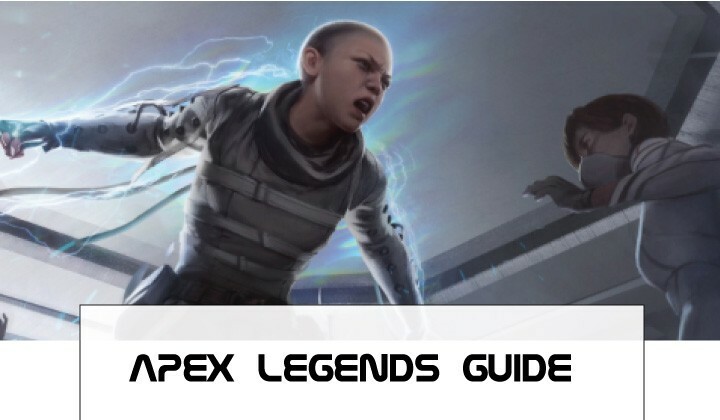 In this rebel galaxy guide, you can easily cover the game review, game analysis, tips and tricks for new and PRO players.